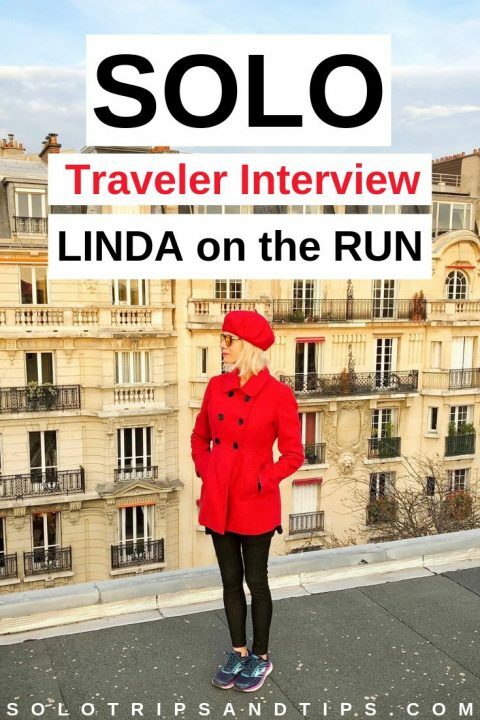 This month our solo travel interview is with Linda on the Run aka Linda Malys Yore. 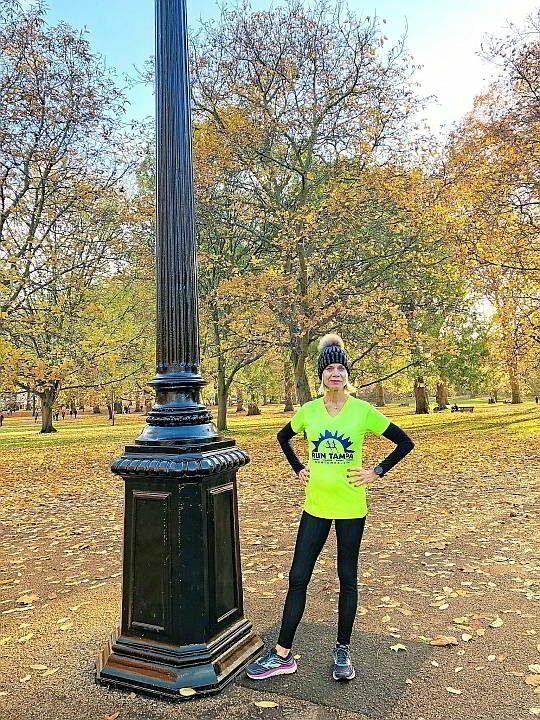 And Linda is literally on the run, as an active triathlete and long time running enthusiast. She’s done half and full marathons. Linda is a baby boomer – she’s 66 years old – and didn’t get into competing in triathlons until her sixties. 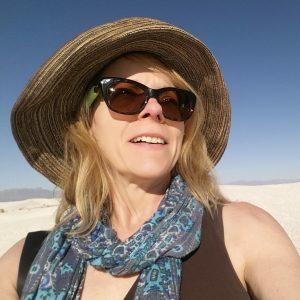 Linda on the Run travel blog is incredibly inspiring to women of all ages. While raising two daughters, the family traveled around Canada and the United States in an RV. Later on, a divorce set Linda exploring the world on her own and choosing to live life to the fullest. Also in the baby boomer demographic, at 56 years old, I told Linda I want to be just like her when I grow up! I thought I had an active lifestyle and good workout routine. Well, Linda makes me look like a bit of a sloth compared to her incredible workouts of swimming, cycling and running. Her blog is a great resource for anyone looking to switch to a healthy living lifestyle. During this interview Linda on the Run reveals her tips on traveling as a vegan, staying safe while traveling, and how she’s doing with giving up sugar. SM You’re not crazy about solo travel but you do it anyways. Is it getting easier for you? Any tips for people who are hesitant to travel alone? Linda Yes, it is becoming easier. As I travel more, I am gaining more confidence in myself to handle the unexpected situations as they arrive. 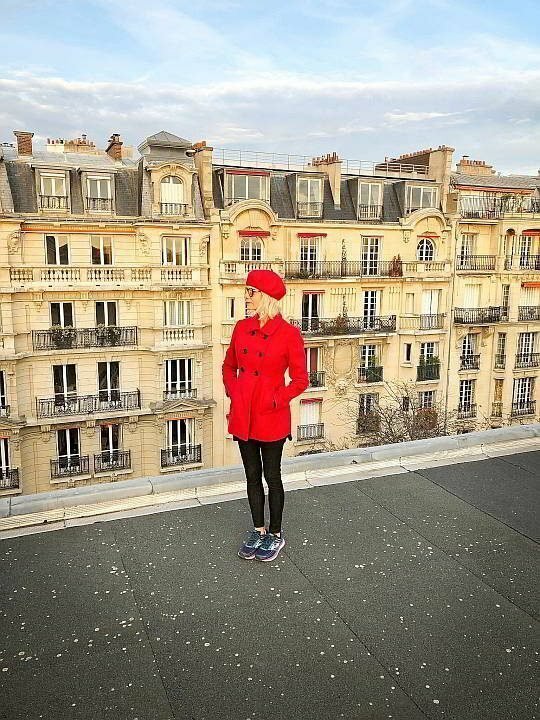 I’ve learned several tips for solo travel that help to increase self confidence too. I would suggest researching heavily and become familiarized with the destination you will be visiting. You will feel much more comfortable already knowing the lay of the land and with this comes a self confidence that you can do this! Secondly, for the most part, people are genuinely kind and willing to help, so do not hesitate to ask questions when you feel lost or overwhelmed. SM: Right! Totally agree, people are kind and want to help out. And even if there’s a language barrier you can communicate a lot with hand gestures and facial expressions. SM And what about staying safe while traveling? Linda: I would like to add a warning about staying safe when traveling. On my last trip to Paris, 3 out of 4 of us were victims of robbery or attempted theft. Odd thing, we had the very discussion about remaining vigilant while overseas in the beginning of the trip. My daughter had her new Olympus camera stolen, and her boyfriend and I were the recipients of foiled robbery attempts. Both of us had people unzip our backpacks and put their hands in, to steal our belongings! The young woman guilty of unzipping my backpack in the street in Paris and plunging her arm up to her elbow into my backpack whilst I was briskly walking was dressed better than me, had better sunglasses and shoes than me and not at all like my idea of a pickpocket. So, like me, let go of preconceived notions of who you think might be a robber and be vigilant. I was fortunate because I was wearing my passport, travel documents and credit cards in a separate purse under my coat right next to my body. I shudder to think what could have happened if I wasn’t. If you are looking to buy any travel luggage or backpack, look for bags with security zippers that secure shut. If you are like me, and already have luggage and a backpack and do not or cannot for financial reasons want to replace them, use safety pins or paper clips to secure the zippers to one another. I admit it is a pain at times, but it is so worth it to remain safe and retain your peace of mind. That violated feeling takes quite a while to go away. SM: Wow, Paris has got some brazen (and well dressed) pickpockets! I’ve heard of thieves slicing open backpacks or the straps on handbags so they can nab them. I was the victim of an attempted purse snatching in Cancun Mexico, and you’re right it takes a while to get over the experience. SM You’re a long time vegan and traveling as a vegan, I imagine there are challenges right? I know you mentioned on your blog that even McDonald’s has vegan options in Paris, but is that the norm these days? What are some of your tips for other vegans and vegetarians while traveling? Linda: There are challenges when travelling with dietary restrictions such as being vegan, vegetarian, gluten-free, etc. I find that dining establishments are finally recognizing and offering options to those of us with alternative diets. To make the situation easier I suggest if possible, research the menus of restaurants you want to eat at before you commit. I know that when traveling we often do not have access to the best WiFi, so if you do not have time to investigate online beforehand hopefully you can at the minimum look at a menu before you are seated. Also, I recommend you always have food/snacks with you. Plus, I usually bring some sort of trail mix with me to have when exploring, and maybe a piece of sturdy fruit such as an apple or an orange. SM: Research is key otherwise you could be disappointed. I like to check menus before I commit to a restaurant choice and most places are happy to let you view beforehand. And snacks, YES! While I’m not vegan (because bacon) but I have food allergies, so I always bring my own healthy snacks like pumpkin seeds or dried fruit. For better health, schedule a few minutes every day and just get out and walk! SM You have a serious workout routine and I’m wondering how did you develop your routine? Linda: It is true that when I am at home and not traveling, I do have a very specific routine, especially if I am in training for a race or triathlon. I work with coaches who plan my routines for me. When I do not have races scheduled, I run or swim to stay in shape. And walking is the absolute best exercise of all. I say, for better health, schedule a few minutes every day and just get out and walk! SM: Yes, I second your comment about walking! I always feel better when I take the time to get out and walk around. Plus, it’s free! Walking, yoga, and swimming are my current choices for staying in shape. SM: Do you schedule time for workouts while traveling? Linda: I try my best yes, to schedule workouts. I strive to find the balance between working out and sightseeing when I am on the road. I do not want to miss out on anything! And, I find that when I try to officially schedule a workout routine while traveling, plus go full speed ahead sightseeing on my trip (is there any other way? I can always catch up on my sleep once I get home! Anyone else with me on this?) I get sick on my flight home because my immunity is so strained. So I have implemented a few tried and true strategies when flying and I definitely I make sure I get enough sleep while traveling. SM: Anytime I get sick it seems to coincide with times of sleep deprivation. For travel workouts I love finding great swimming spots like the outdoor pools in Barcelona Spain and Medellin Colombia. SM: After breaking your ankle in a freak accident how did you deal with the recovery process and not being able to run? Linda: I was supposed to be running a Disney marathon in seven days, the day my ankle broke. So yes, it was a huge setback. My sports medicine doctor is the one who initially introduced me to triathlons, so I could cross train while recuperating. Swimming and biking saved me! Life is not about perfection. It is about wonderful memories and striving to become the best versions of ourselves we can be. SM: You gave up sugar and you mentioned that it improved on your athletic performance. How’s it going? Are you still managing to keep sugar out of your diet? Linda: Giving up sugar improved my life in general. I was a 100% bona fide sugar addict. I did it cold turkey. And I also gave up processed foods at the same time. Go big or go home, right? It is going well, and I have stuck with it. I feel the best I have ever in my life. And I am not tempted in the least to stray. I believe this is because by feeding my body the right things I do not crave the wrong ones. That being said, for instance, when I travel with my daughters and we are in a lovely Paris pastry shop, and they offer me a bite of their scrumptious delicacy, I do take a tiny taste. Life is not about perfection. It is about wonderful memories and striving to become the best versions of ourselves we can be. SM: Congratulations on kicking the sugar habit! Good strategy on giving up the processed foods while quitting sugar. SM: What are a few of the destinations topping your bucket list right now? Linda: Oh wow. Our world is such a magical place and there are so many wonderful places to explore. Egypt tops my list. I very much want to see the pyramids. Russia, and revisiting the United Kingdom ranks very high right now too. 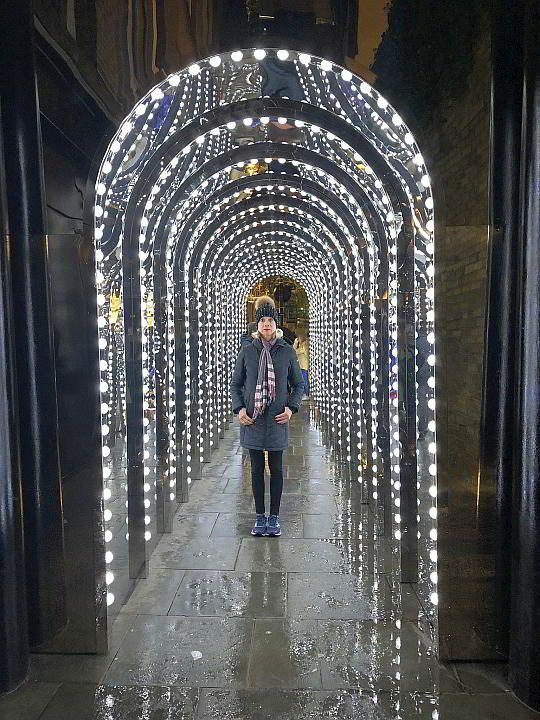 I have only been to London once, and fell in love with it immediately. And anywhere with a beach! SM: London is a great city – I love any place that has a good combination of historical and modern attractions. And I look forward to seeing your photos of Egypt and Russia in the future. SM: There’s still this idea that older folks can’t stay in hostels, but I met women in their seventies who stayed in dorm rooms. Have you stayed in hostels? What is your preference for accommodation? I have not stayed in a hostel, but I have close friends around my same age who have and loved it. My preferred accommodations are in Airbnb’s. I like to have the flat to myself, however sometimes that is not financially feasible. When I started off, I had a very bad experience in a shared flat, but looking back on it, it was because my flatmate got sick, and that freaked me out. In Dublin, my experience was quite the opposite. The owner of the flat and I became friends and we keep in contact to this day. Being vegan, I like that there are full kitchens in the Airbnb’s that I choose. I like to make some of my own meals while traveling to save money. SM: Having a kitchen makes all the difference while traveling. Eating out is great but sometimes I just want to prepare my own food, and it totally helps the travel budget. I’ve stayed in hostels but mostly I use Airbnb now. 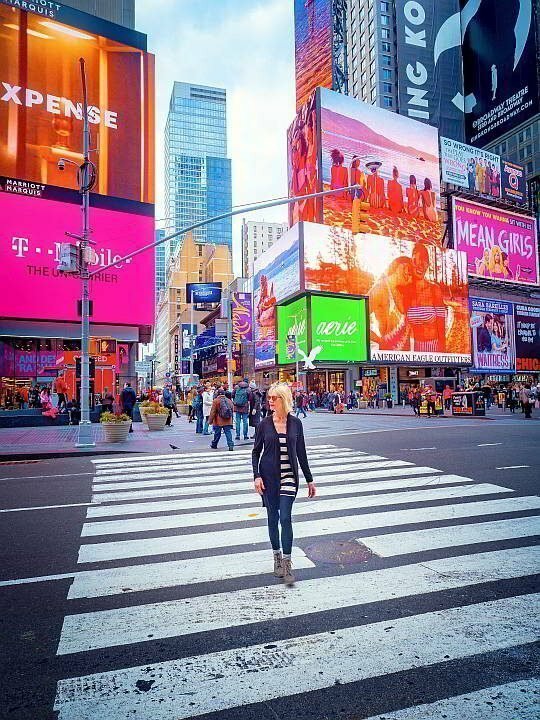 SM: What is one of your biggest travel mistakes and how did you handle it? Linda: I always overpack. Honestly, isn’t that what we always hear – do not overpack!! Even though I may be under the airlines’ weight restrictions, heavier bags full of clothes I probably will not be wearing (and brought along “just in case”), make navigating the streets or subways (and their steps!) that much more difficult. I strive to lighten up my packing and bring clothes that can be worn in multiple ways. SM: Right, it’s a challenge to pack light but makes life so much easier while traveling if you bring less stuff. The capsule wardrobe and packing cubes are the key to lightweight packing success. And there’s that saying – Bring half the clothes and twice the cash! SM: What is your current favorite travel (or workout) gear or app? I never leave for any trip without my running shoes. I am always up for a run whenever the situation presents itself. And I solidly depend on my iPhone for my travel photos, so I make sure I bring along a portable charger and charging cord that I toss in my backpack. My favorite phone apps are Facebook and Instagram. I document my travels in real time on my Insta Stories and a love to post pictures on my Facebook pages. 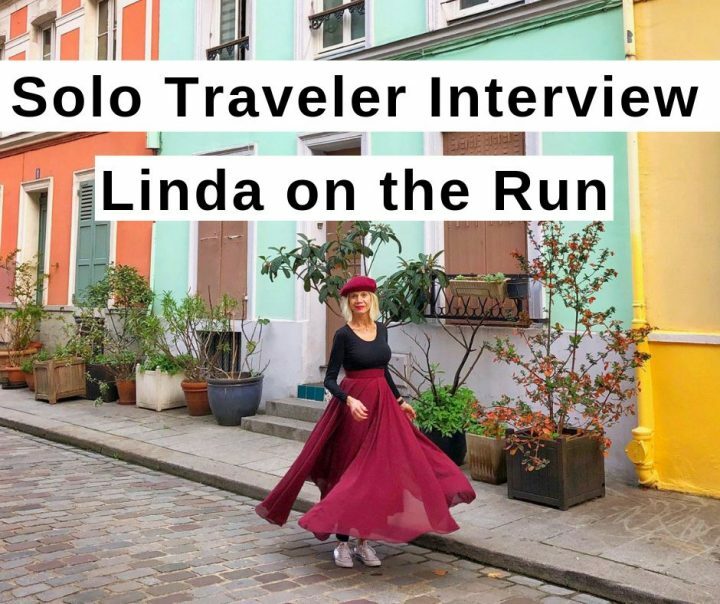 Many thanks to Linda on the Run for taking time out to do this interview with Solo Trips and Tips travel blog. Check out the previous solo traveler interview with Nomadic Matt. If you would like to be featured in this series please complete this form and I’ll get back to you soon! Estelle, Wonderful! Thanks for your comment. Linda is my new role model for healthy living. Now, when I feel like I don’t want to do a workout I just think, what would Linda do LOL! I think the more healthy choices we make the easier it gets to stay on track, and you get so much more energy with a healthy diet plus regular exercise. The older I get the more I realize how important dietary choices contribute to my overall well being. Great photos and I loved the paper clip/safety pin travel tip! Hi Irene, thanks for your comment. I love the photos Linda sent for this interview! Is that her? She looks awesome! But if I can help it, I do not want to travel solo at all. Yes, of course that’s Linda, and yes she looks awesome! I love the pics she sent for this interview. So you’re not a solo traveler eh? I’m the opposite, I don’t want to travel with others too much. I’ve learned that traveling together is a quick way to ruin a friendship in some cases. You never really know someone until you travel with them! I also love the freedom of solo travel, to do whatever I want without having to discuss with others first or compromise. To each her own, happy travels to you Carol! 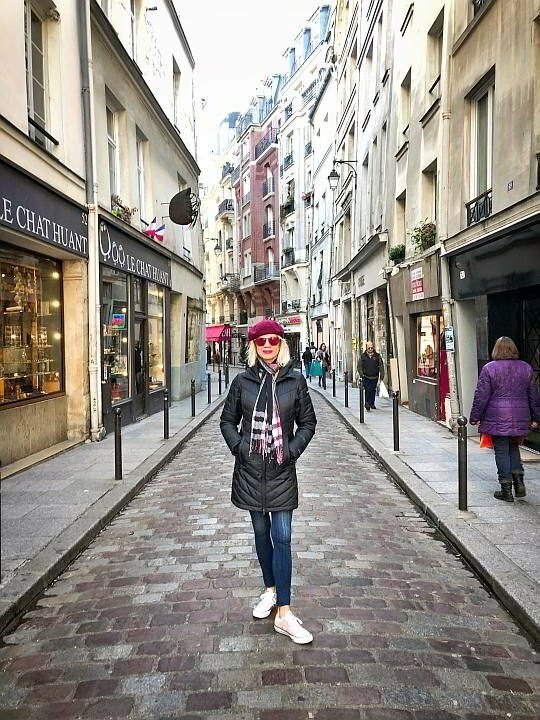 Fun to learn about Linda and her travel style and activities. Bummer about her experience with thieves in Paris. She was smart to keep her important documents hidden close to her body. Even seasoned travelers can let their guard down sometimes. I know! Hi Catherine, Thanks for stopping by! Yes, even experienced travelers can be victim to the pickpockets and thieves. I’ve been lucky, only one incident in Mexico, and it was because I didn’t follow my gut instinct, lesson learned! The more we travel the more we learn. What an inspiration Linda is! Why do people think they can’t do things after they reach “a certain age”? In my experience (I’m 56), traveling gets better as I get older. Partly it’s because I’m treated with more respect, partly because I care much less about what anyone thinks about me, partly because I enjoy my own company more, and partly because I can afford NOT to stay in hostels! It’s great to have the money to spend on accommodation other than hostels but I loved the vibe at lots of hostels that I’ve stayed in, so I still use them. Love your words about travel getting better as you get older, same for me on all four points too, but especially not caring about what others think about me and enjoying my own company more. I finally realized I am an introvert, and I embrace it. As to why people think they can’t do things after a certain age, I think mostly it is social conditioning, and old habits die hard, so people hang on to beliefs that are not valid. Thanks for reading and commenting Rachel. Happy travels!